Bengaluruai??i? ?s iconic Utility Building on MG Road came alive during the Bengaluru International Film Festival 2017, between February 4 and 7. Many people have even likened it to Dubaiai??i? ?s Burj Khalifa online, thanks to the light show that was projected on the building. 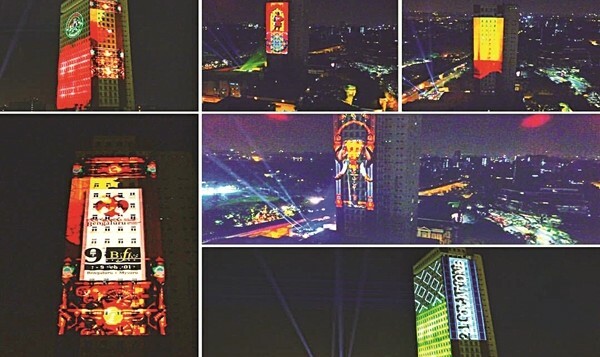 Oum Pradutt, founder, Phase 1 Events and Experiences Pvt Ltd, led the team behind this technologically innovative light show. ai???Itai??i? 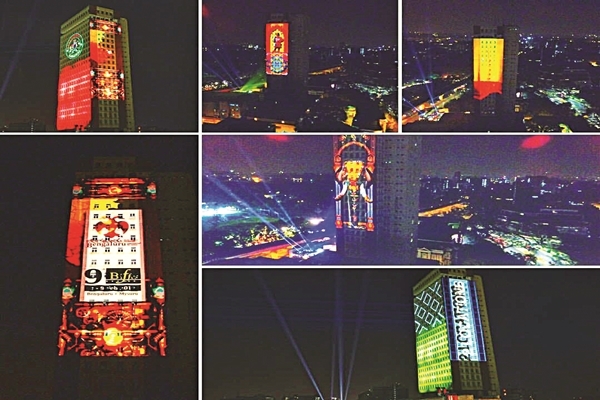 ?s called 3D-projection mapping. We added the elements of lights, lasers and sound,ai??? explains Oum, who has seen extraordinary light shows all over the world. ai?? ?We used state-of-the-art equipment thatai??i? ?s used across the globe for such 3D-projections. But the team was indigenous. We had visual jockey KC (Karthick Sagar) and others who were controlling and improvising the projections in real-time,ai??? he explains further. But with no concept in mind, even the best of equipment and technology would be useless, a fact that Oum agrees with. So even before the execution of the light show, a storyboard with three segments had been created. ai?? ?We explored the concept of making the building fall apart, then building up or turning it into flames using the lights. For the second segment, we focused on projecting iconic tourist locations from across Karnataka, such as Jog Falls and Mysore Palace. In the third segment, we decided to project the iconic faces of film personalities,ai??? explains Oum. Oum and his team are working closely with the Karnataka Tourism Department on furthering this idea at iconic places across Karnataka.